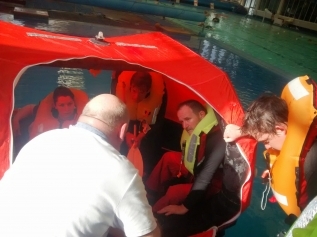 There are 5 basic Courses which form the backbone of the STCW95 (Standards of Training, Certification and Watchkeeping) Qualification. These are listed below and can be completed as individual modules or as a block. There is an additional module, "Proficiency in Security Awareness" if you intend to work onboard a vessel covered by ISPS code such as a Superyacht, Cruisie Ship or Merchant vessel over 500GRT. 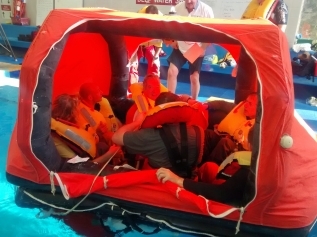 This is a one day course containing practical and theory sections including launching and entering a life rafts in a designated pool. 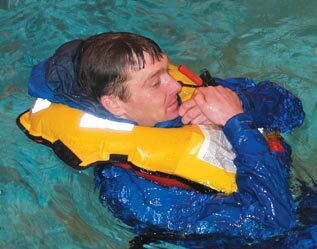 Included are actions to be taken by persons for self protection in emergency situations, survival at sea and deployment of safety equipment.It forms part of the mandatory basic training for all seafaring personnel. 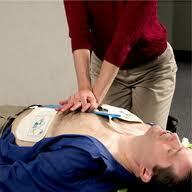 Certification is by continuous assessment, practical demonstration, questions and answers during the course. This is a 1 day classroom based course and forms part of the mandatory basic training for all personnel assigned safety or pollution prevention duties. It covers accident prevention, employment on board and working environment on board ship. Certification is by continuous assessment, questions and answers during the course. 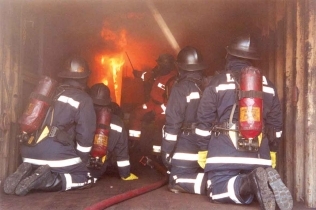 This is a 2 day course containing practical and theory sections including simulations and fire fighting exercises in a multi story steel simulator. It forms part of the mandatory basic training for all personnel assigned safety duties. 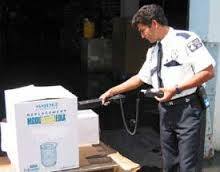 Take part in Security-Related emergency and contingency prodedures. 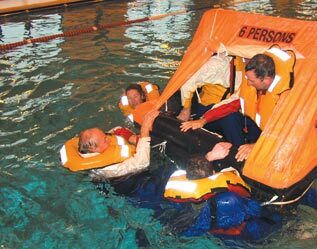 This course is free if booking all 5 parts of the STCW95 course together or the cost is £140.00 if being taken as a single element. Sunday 28 April 2019 (1 Place Remaining) ! Sunday 5 May 2019 (1 Place Remaining) ! Sunday 9 June 2019 (3 Places Remaining) ! Sunday 14 July 2019 (3 Places Remaining) ! Sunday 25 August 2019 (4 Places Remaining) ! Sunday 22 September 2019 (5 Places Remaining) ! Sunday 20 October 2019 (2 Places Remaining) ! Sunday 24 November 2019 (5 Places Remaining) ! Sunday 15 December 2019 (3 Places Remaining) ! New rules that came into effect following the Manila conference in 2010 require several STCW certificates to be updates every 5 years. In broad terms these rules dont take effect until 1st January 2017 and so if you hold the STCW95 Basic Training qualification and they are over 5 years old on 1st January 2017 they will no longer be valid and you will be working illegally. 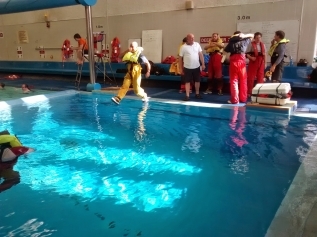 Cornish Cruising runs the Basic STCW95 Qualifications and we can provide refresher Training for the Personal Survival Techniques and faciltate Fire prevention and Fire Fighting. Monday 29 April 2019 (1 Place Remaining) ! Sunday 16 June 2019 (5 Places Remaining) ! Monday 29 July 2019 (2 Places Remaining) ! Monday 16 September 2019 (3 Places Remaining) ! Monday 28 October 2019 (6 Places Remaining) ! Monday 9 December 2019 (3 Places Remaining) !